If you’ve been accused of a misdemeanor or a serious felony in San Francisco, our goal is always the complete dismissal of all charges. If this isn’t possible, we often negotiate solutions for our clients that allow them to avoid jail and sometimes even prosecution. If you are facing Criminal prosecution in San Francisco, time is of the essence. Your freedom and reputation is at stake and you need an experienced and aggressive team of Criminal Lawyers on your side. Our focus is devoted solely to Criminal Defense. This allows us to craft strategies based on a cumulative and exclusive 120 years of Criminal Defense Experience. Whether you are facing Federal charges, Felony or Misdemeanor charges, our Criminal Attorneys have the experience and tenacity necessary to protect your rights and get you the best possible results. We know the court staff in San Francisco as well as the District Attorneys, Judges and Probation officers that will be involved in your criminal matter. Our attorneys are regularly featured in local San Francisco crime news coverage as expert witnesses and teach other attorneys how to represent individuals charged with criminal offenses. The client, a doctor, was charged with DUI as well as resisting arrest after a visit to the bay area. Despite threats of additional charges, the client opted to proceed to trial. General: Most San Francisco criminal matters are heard in this court including traffic court. Civil, family law, probate and some criminal cases. To find out which court you are in, please see the Daily Calendar posted at Room 101 at the Hall of Justice Building, or you can contact the clerk’s office on (415) 551-0322. However, if you have retained an attorney, they will find out which court your case is in and let you know where you need to go – and if you need to attend court at all. Rabin was not my first experience with a criminal lawyer, but was certainly the best. Never before have I found the combination of competence and compassion, which is rarely found in professionals today. Frankly, getting arrested is a frightening experience, especially for someone who is living with the guilt of knowingly making a mistake. He handled my case as if it were unique, and to some extent, I felt as if I had serious limitations in what I could except as a penalty. Rabin worked tirelessly on my behalf appearing in court, taking the time to meet with me as needed to explain my the details of my case, & using his knowledge/skills to research regarding my limitations until he was finally able to negotiate and to\ reach an agreement to have me leniently penalized. His fee, set at our first meeting, was fair and affordable and he worked well beyond what I thought I had paid him for. I can say with absolute sincerity that this man helped me when I needed it most. I will never forget his kindness nor fail to appreciate his ability! 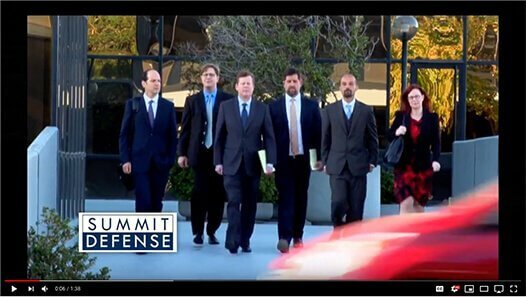 Thank you so much Rabin and the entire Summit Defense team! There are several county jails in San Francisco, as well as one located in San Bruno (although still within the jurisdiction of San Francisco county). They are run by the Sheriff’s Department. All prisoners are initially booked in through this jail in San Francisco, but moved to on of the other facilities after booking is complete. This facility houses both men and women inmates, but is the only jail in San Francisco that houses women. This jail is the maximum security facility for San Francisco County. This large facility is actually located in San Mateo County, but falls under the jurisdiction of San Francisco County and City. If a prisoner requires medical attention or mental health treatment, they are housed in a locked ward at San Francisco General Hospital on Potrero Avenue. HOW DO I VISIT SOMEONE IN JAIL IN SAN FRANCISCO? The Sheriff’s Department requires all visitors to schedule visits to inmate online, except for those who wish to visit people being held in San Francisco General Hospital. Visits can be scheduled via the Sheriff’s Department website, here. Visits are available on weekends and holidays, and at the San Bruno jail on Thursday evenings, although attorneys can visit their clients outside of those times. There are strict rules that apply to jail visits, such as time limits and dress requirements. You should make sure that you review the rules carefully beforehand; otherwise you may not be allowed to visit. From North Point Centre in North Beach, drive East onto Bay St. Drive for .2 miles until you reach Pier 35. Take a right onto the Embarcadero. Follow the Embarcadero for .8 miles, passing Levi’s Plaza, The Battery, and The Punchline. Take a right onto California St. when you see San Francisco Soup Company. Follow California for 0.2 miles. Our office will be on your right, next to Events and Adventures San Francisco. From Alta Plaza Park turn onto Jackson St., heading West. Take a quick right onto Webster St, passing California Pacific Medical Center on your left. After 0.4 miles, take a left onto Bush St. Follow Bush St. for 1.5 miles, passing People’s Barber, St Francis Memorial Hospital, and the Dragon’s Gate as you go. Take a left onto Kearny St., and after two blocks, a right onto California St. Our office will be just to your left, kitty-corner from Wells Fargo and Newport Asia. From Gene Friend Recreation Center in South of Market, drive onto 6th St. going North. After 0.5 miles, you’ll see Dottie’s True Blue Café. 6th St. will turn into Taylor St. and Veer right slightly. Follow Taylor St. for half a mile passing Glide Memorial Church and Honey Honey Café & Crepery as you go. Turn right onto Bush St. right after passing Sanraku. Follow Bush, then take a left onto Kearny St. Drive North two blocks and our office will be on your right, in the same building as the Social Security Administration. From the heart of the Financial District, head South on Battery St. Passing Sensor Tower and Michael Mina. Take a right onto California St. Pass the Bank of California Museum and Wells Forgo History Museum, our office will be on your right.